Many moons have passed since our last communiqué. For that we apologize. A few developments and some delays to that effect have contributed to this. First there has been real progress made by AC towards delivering the server, and prepping their infrastructure for steam login and distribution. They are doing their best in the time they have to work through it all and try to deliver the best experience they can to official server players in the meantime. Second we have integrated a staggering number of volunteers into a variety of roles and teams. The survey was a resounding success. 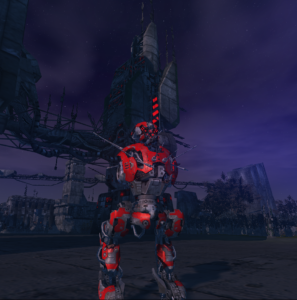 We have players old and new, experienced PVP, PVE and industrial specialists. Expert, and in many cases professional, database and software engineers, modellers, designers, and all around great people! Above all they share an unwavering dedication to the project to make a better perpetuum for the whole community to enjoy! Since there seems to be some space between now and the release, we think it fit to inform you of our recent developments and introduce some new ideas that have come from our collaborative efforts. Do note that some of these are predicated on the tools and capabilities provided by AC and implementation details or timelines will depend on this. 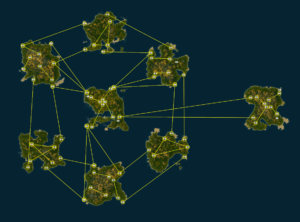 Our new world design will accommodate a centralize-able market hub, and a greater degree of gradation of risk and reward as a player moves across various islands (and not just between islands). Stay tuned for images of our new designs! 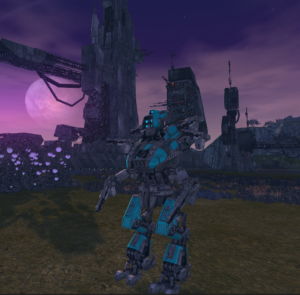 The Syndicates will now be the starting faction for all new players (with an indy or combat flavor choice of course). The alpha islands will be syndicate-owned/captured by the human agents, and the factional npcs will be actively assaulting and increasingly violent as you approach their fortifications on the Alpha-2 and soon other yet unseen Strongholds! In keeping with our ethos to focus on providing new unique content, we are proud to announce an ambitious new feature. These are a “dungeon” mechanic of sorts but non-instanced, still open world. What secrets may lie within? More details to follow! We seek to bring back the flavor of each faction and class as a unique distribution of some capabilities and not just damage types and resistance profiles. With syndicates as a starting faction, they also fill the role of a jack-of-all balance where they excel at none but have more adaptability between the 3 nian factions. In short this will not be Seth’s online anymore and players will find bots that suit their particular play-style rather than picking whatever faction is the “meta”. We would be remiss if we failed to mention fixes to stark imbalances that exist in the game with respect to modules and stacking extremes. Several variety of solutions for this, but we all see basic number changes as the primary course of action here. There are high severity items like the tuners, and less severe. Look out for discussions on the forums! There is a lot of, even some balance, patches that added a lot of interesting features, notably the EP-activity reward system. This will remain but tweaked to accommodate a fresh playership, rather than a years-old player base on the official server. So for those wondering, both time and activity will be intact but with different numbers. There are a lot of details of how these things shake out, and will discuss them in discord and on the community forums to seek your feedback. Please join us in thanking the AC devs for all their hard work on their free time to make this an impending reality. This is only possible with their work and deserve our gratitude. Stay tuned for blog posts detailing the work of all of our teams!